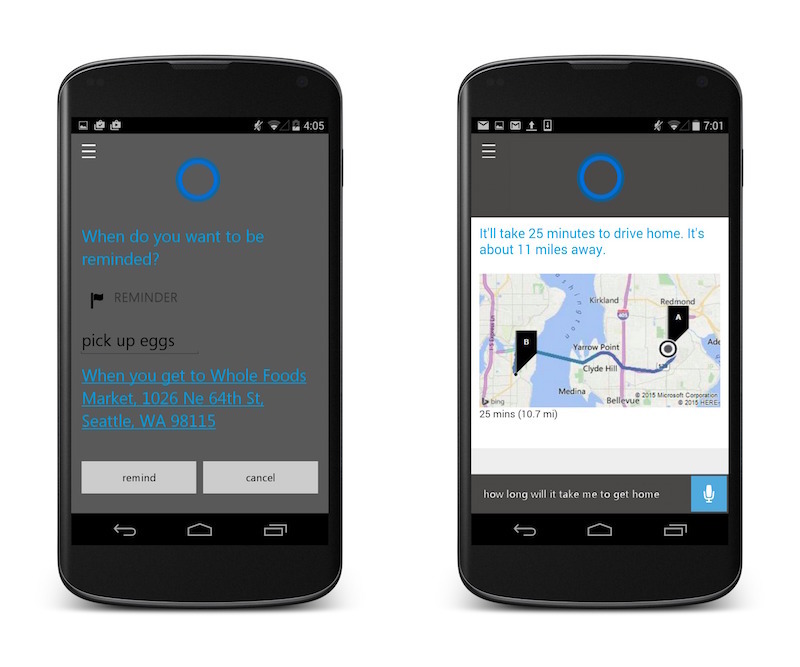 Microsoft’s voice-based virtual assistant Cortana will be deeply integrated into a future version of Cyanogen OS, the Android-based software maker has said. The announcement comes weeks afterCortana became available on Android platform, and months after Cyanogen and Microsoft inked a deal to prominently showcase Microsoft apps on the commercial Cyanogen OS ROM. In an interview with International Business Times, Cyanogen CEO Kirt McMaster said that his company is closely working with Microsoft to deeply integrate Cortana into its Android-based Cyanogen OS. McMaster said that Cortana is superior to Google Now and even Siri, and its deep integration would significantly improve user experience. “Natural language coupled with intelligence is very important but as an application it doesn’t rally work because you need to be embedded into the framework of the OS because that is where you get all the signal from the services that makes that intelligence smarter,” said McMaster. “When Apple launched Apple Music at WWDC, they showed the Siri integration with Apple Music. Siridoesn’t power Spotify like that so we can do these kind of things with for example, integration of Microsoft’s Cortana into the OS enabling natural language to power Spotify and other services,” McMaster said. The announcement comes months after Microsoft and Cyanogen struck a mutually beneficial deal. At the time, McMaster had announced that this would enable it to take “Android’s future out of Google’s hands.” The company is increasingly trying to find alternatives to Google’s services. Its deal with Microsoft allows it to offer several worthy alternatives. For Microsoft, the partnership with Cyanogen allows it to prominently showcase several of its apps and services to a large user base. As it tones down Windows Phone efforts and makes apps for Android and iOS to gain traction, Cyanogen seems like the right investment. The company in March declared that 50 million CyanogenMod (the company’s free Android distribution) users exist. The user base of Cyanogen OS has not been detailed.